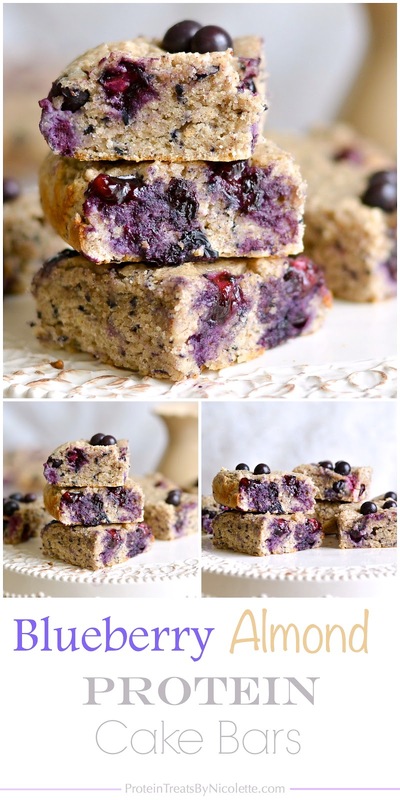 As I was shopping in the grocery store earlier this week, I saw these beautiful plump blueberries were on sale so I snagged a couple of containers with the idea of making a protein treat with one of them. I wasn't sure what I was going to make but knew I had to take advantage of them since they are in season. 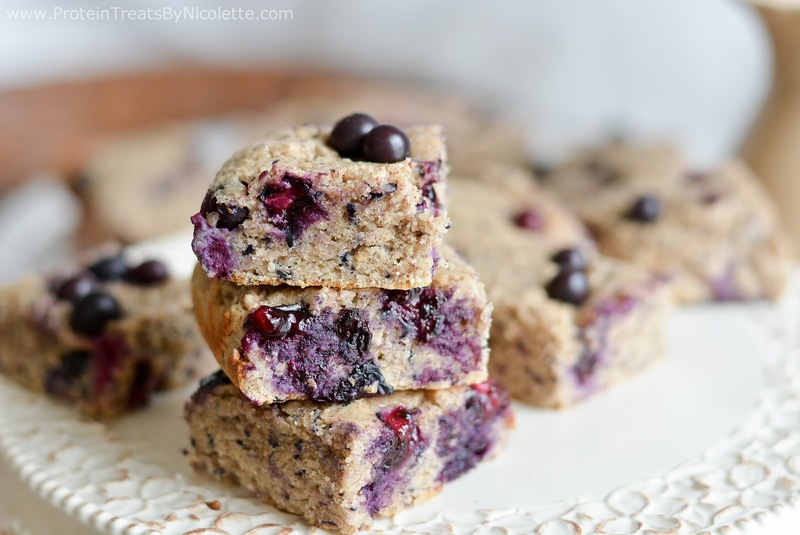 I scrolled through some of my older recipes and stumbled upon my blueberry cake protein donuts. YES! I wanted cake! I typed up this recipe keeping my fingers crossed that they would turn out just as good as the donuts. Success!!! They are light and sweet with the perfect cake texture. They aren't overly sweet, which is another thing I love about them! 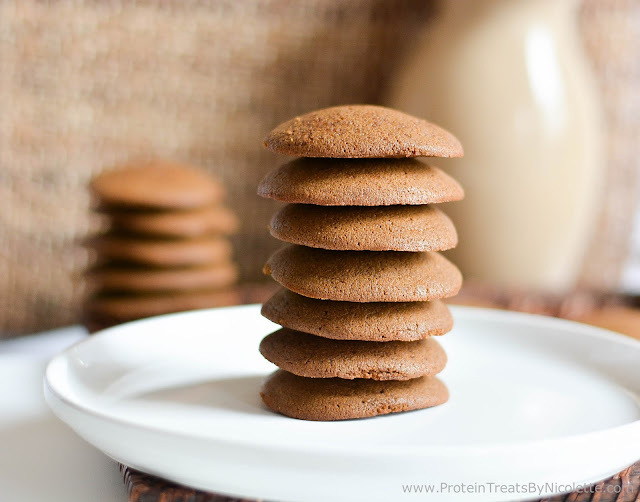 These can be enjoyed at breakfast with a cup of coffee, as a snack, or dessert (maybe with some vanilla ice-cream?) Enjoy! 2. 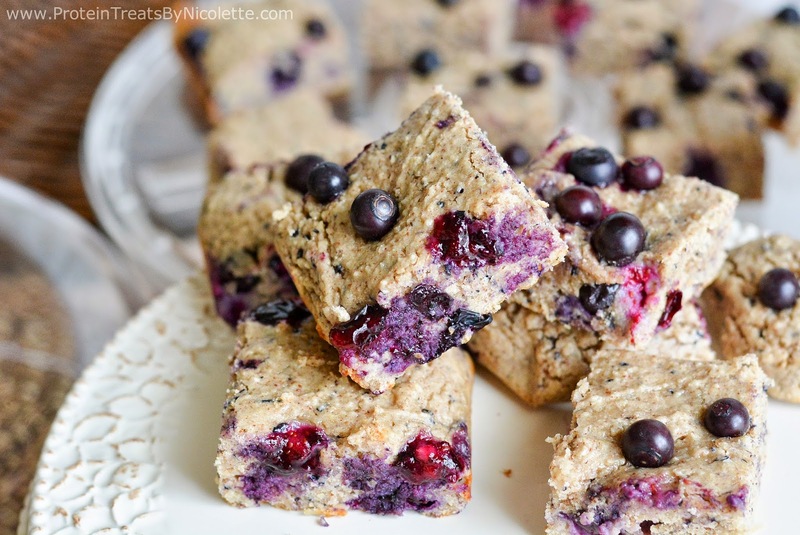 Combine egg whites, yogurt, ½ cup blueberries, almond butter, and extracts in a blender or food processor. Blend until completely smooth. 3. Add protein powder, almond meal flour, oat flour, xylitol, and baking powder to a mixing bowl. Stir together. 4. Pour liquid ingredients into the bowl of dry ingredients and stir until well combined. 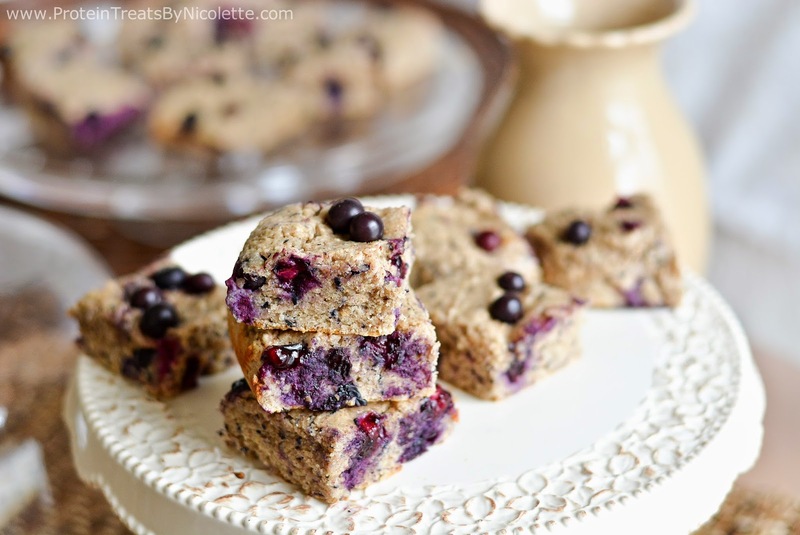 Stir in remainder ½ cup of blueberries into batter. Delicious :D I love blueberries! Thank you! I do too :) YUM!